Ok, so this year my Father asked for his usual Father’s Day cheesecake but he wanted them made like cupcakes so he could freeze them and not eat the cake in one sitting lol I said, “ok ok I understand as I laughed at his lack of willpower.” I did a few flavors for him, three of which I will profile here for you but be creative as the base will always remain the same. You will need all of the ingredients below and cupcakes pans and liners. 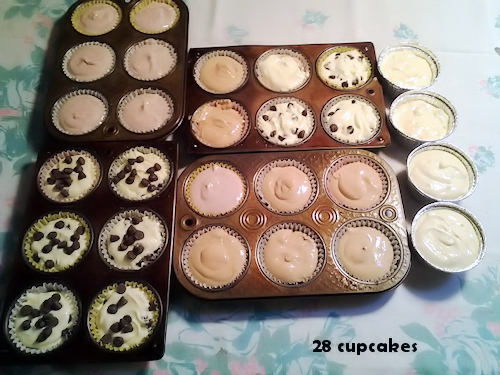 Enough for at least 2 1/2 dozen, this made 28cupcakes! Flavors I used: Raspberry Jam (1/4 cup / 3 cups of Mix) 4 TBS Kahlua liquor, 2Tbs instant coffee, and 2Tbs Hershey’s syrup to 4 Cups of mix, the rest of the mix I made chocolate chips by dropping chips in and stirring. 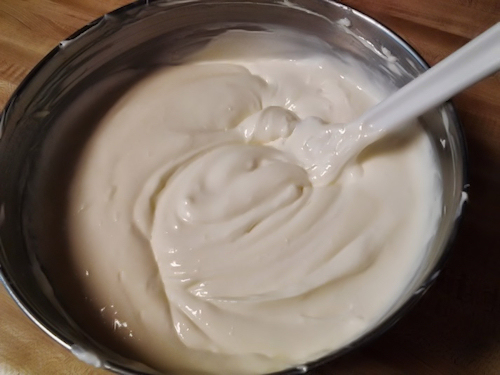 Now by all means if you wish to do something else as in another flavor of jam, curd etc.. follow the steps about for the ratio. Notice the one with the “wet” liquid for more mix. 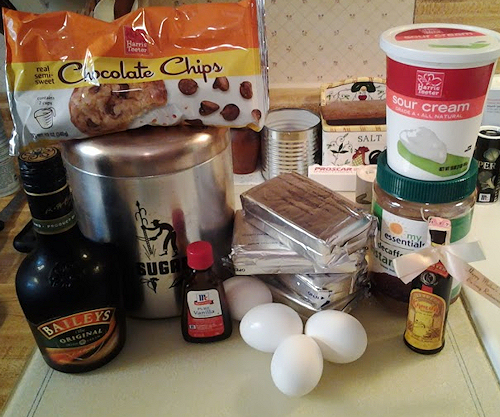 Bailey’s Irish Cream is another great option and that would be 1/4cup Bailey’s to 4 cups of mix. We will start with mixing the crust. 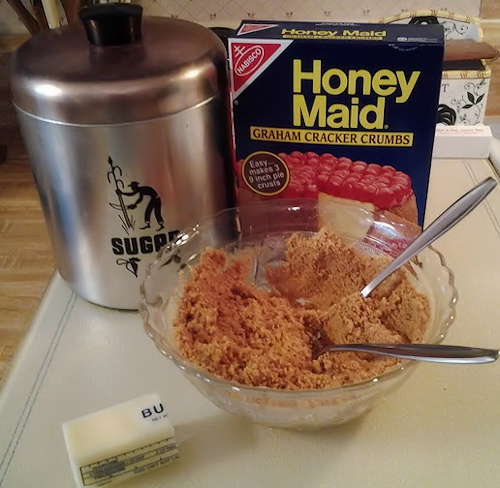 Add breadcrumbs in a bowl with the sugar and butter and microwave on low until melted. 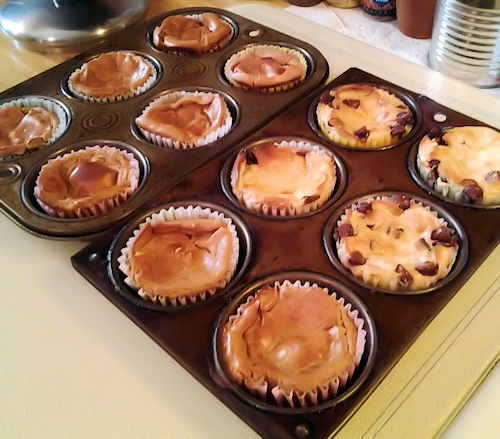 Put about one teaspoon of crust into each cupcake liner pressing in with the edge of the spoon lightly forming a nice crust on the bottom. Set aside and preheat oven to 350 degrees. In your KitchenAid or a large bowl. 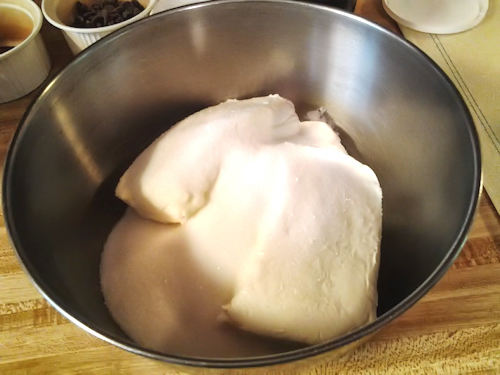 ( I had to use a hand mixer at grams which worked just fine ) Add the softened cream cheese, sugar and vanilla extract. Beat on low then switch to medium until blended, scraping the sides if needed. You want it to be nice and smooth. Then add each egg one by one until each is blended yes I added two by two I am impatient and it works just as well. ( My mother would smack the back of my head I am sure ) Mix until you can see the eggs have been blended no need to over beat. 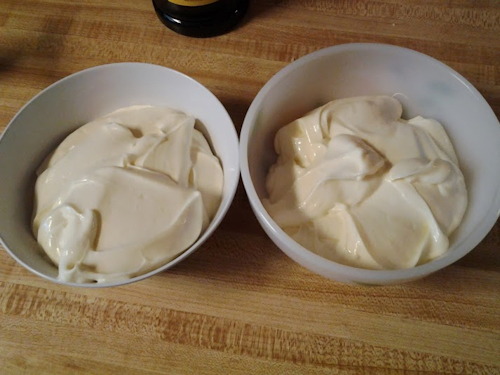 Stop mixing and add the sour cream. 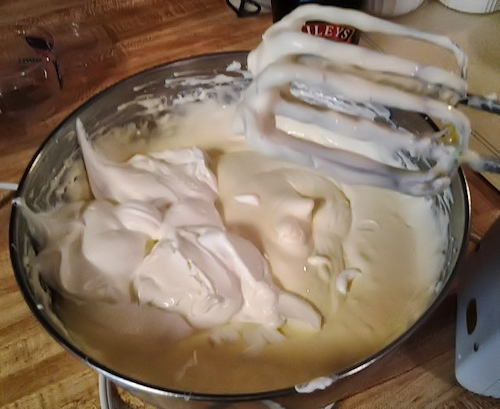 Return mixer to low to fold in the sour cream and you’re done! Do not over mix just fold in until blended. 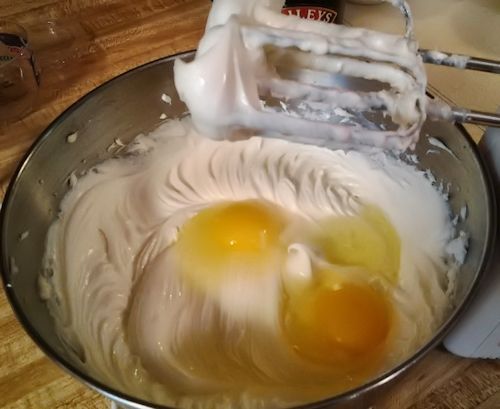 You should have a nice smooth batter. Now we can start dividing our flavor bows. Get as many bowls as you do flavors profiles. I am going to show you three. On the left is the Kahlua and Coffee with Chocolate this was amazing! on the right is the Raspberry (no seeds). 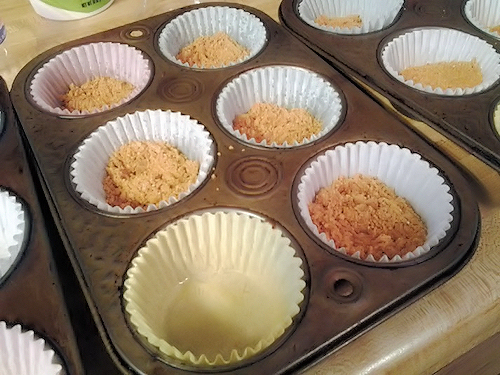 Stir each until blended and fill each cupcakes liner onto the crusts until your bowls are empty. 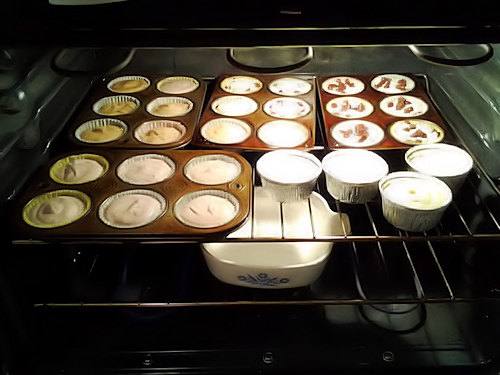 When done and you have made all your desired flavors place into the oven all on one rack if you can in the center. I did place a pan of water in the oven for this on the bottom shelf. 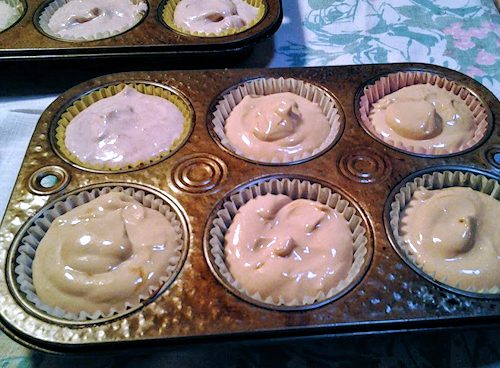 These will go in the oven for approx. 1/2 hour it may be a little more depending on your oven temp. 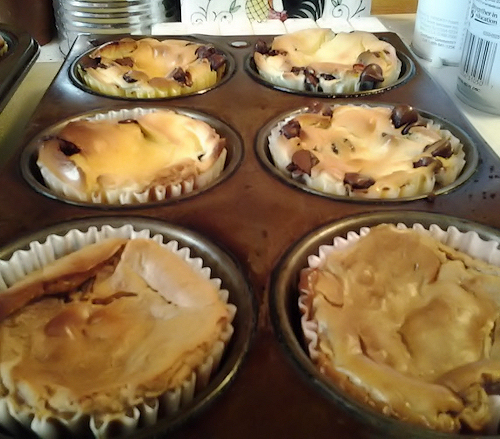 When they start to puff they are done, look for it to be not too firm but definitely not too jiggly. 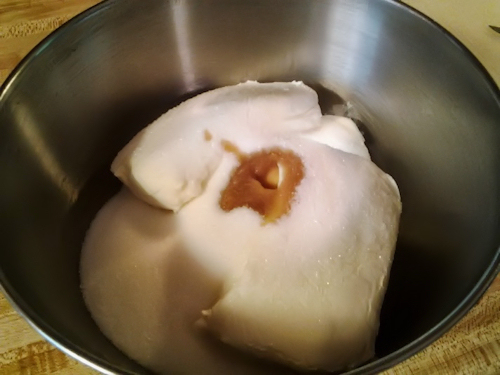 I can give you temperatures: (The ideal temperature for a cheesecake is around 160 to 165 degrees) but to tell you the truth I have never used that. The truth is that it is trial and error and each will be different until you find your favorite texture. When finished pull out of the oven and allow to sit for about 20min to cool down. 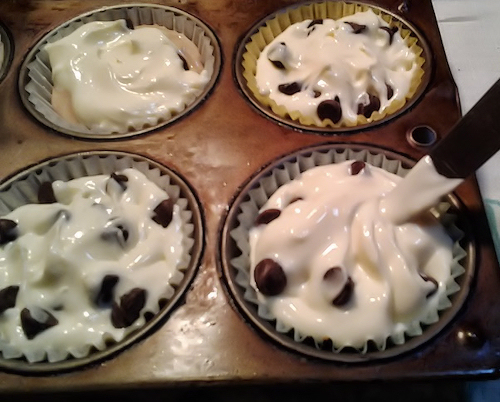 Take the cupcakes out and place onto your preferred refrigerator dish and slide into the fridge and let it set overnight. NO LESS is advised. 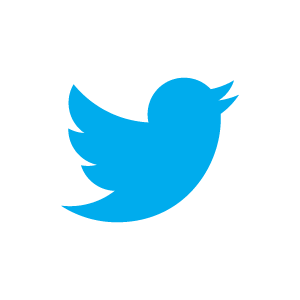 Trust me on this … if you listen to nothing else I have said, listen to this: let it set OVERNIGHT. Now for me I did not decorate these because that would be very messy to freeze. But if you are serving these all the next day, by all means decorate, use fresh berries , real whip cream, maybe a drizzle of chocolate or a chocolate coffee truffle. 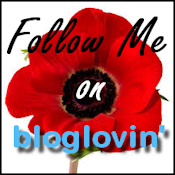 Ok, now I am just dreaming you get the picture!